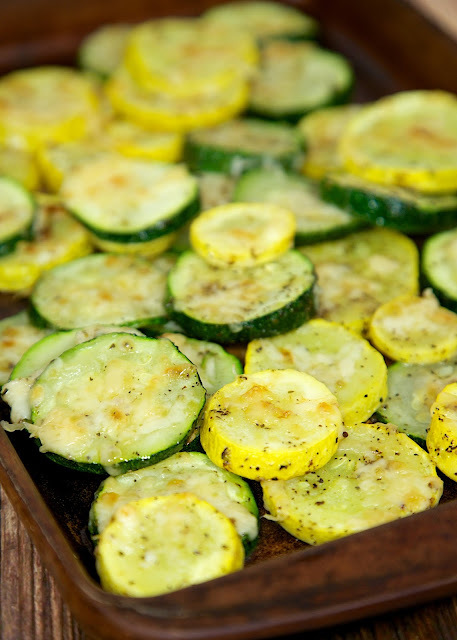 Baked Parmesan Squash Recipe - simple side dish that tastes delicious! Ready for the oven in minutes. Great with grilled chicken, pork, steak and even pasta! We are totally addicted to this Baked Parmesan Squash. It tastes delicious and is super simple to prepare. I had this ready and waiting for the oven to preheat. We love to serve this with grilled chicken and steak. It is also great with pasta. My favorite part about this squash is the parmesan cheese! I used fresh grated parmesan cheese. If you don't have a block of parmesan cheese, you could definitely use the canned stuff. Either way it will be delicious! 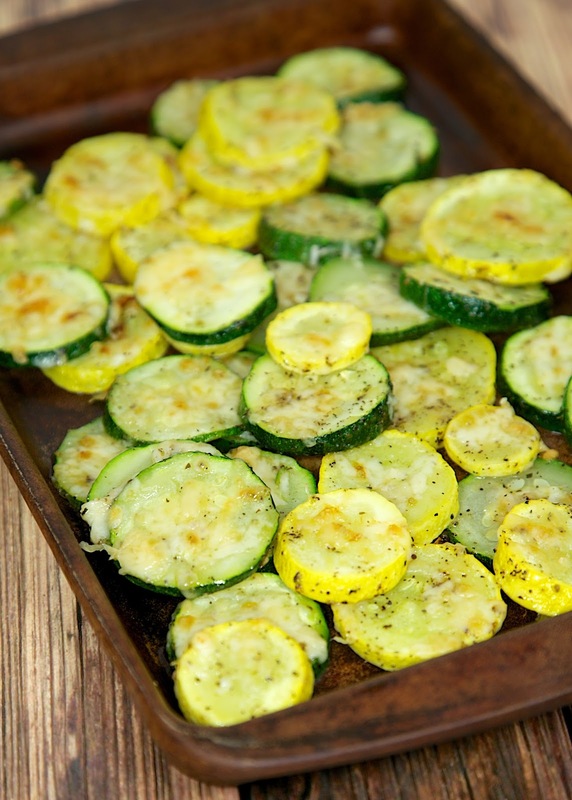 Sprinkle squash with pepper, garlic salt and parmesan cheese. Bake for 20-25 minutes, until lightly browned on top. We love squash during the summer when it is fresh. What a great side dish! I just made this last night. Have had It numerous times this summer/fall. Instead of tossing the zucchini with olive oil. I use my Mr. Mister and spray the pan. Then put the zucchini on it. Spray again and then add the seasoning and feta cheese.